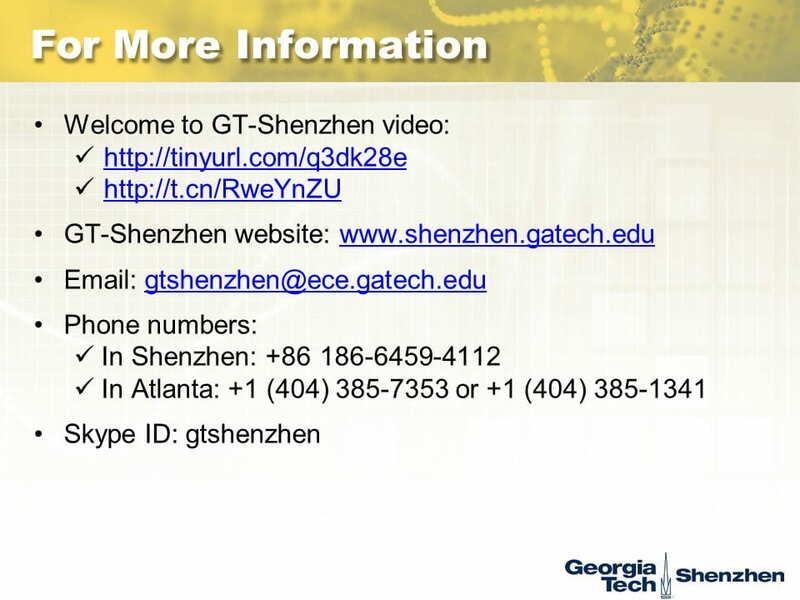 Georgia Tech – Shenzhen welcome video: on Youtube, on Youku. 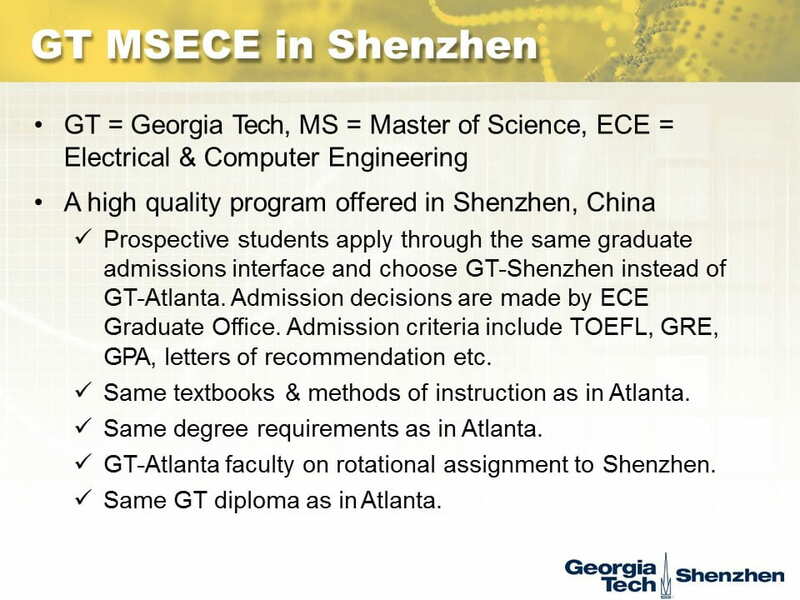 In August 2014, Georgia Tech (GT) launched its existing M.S. 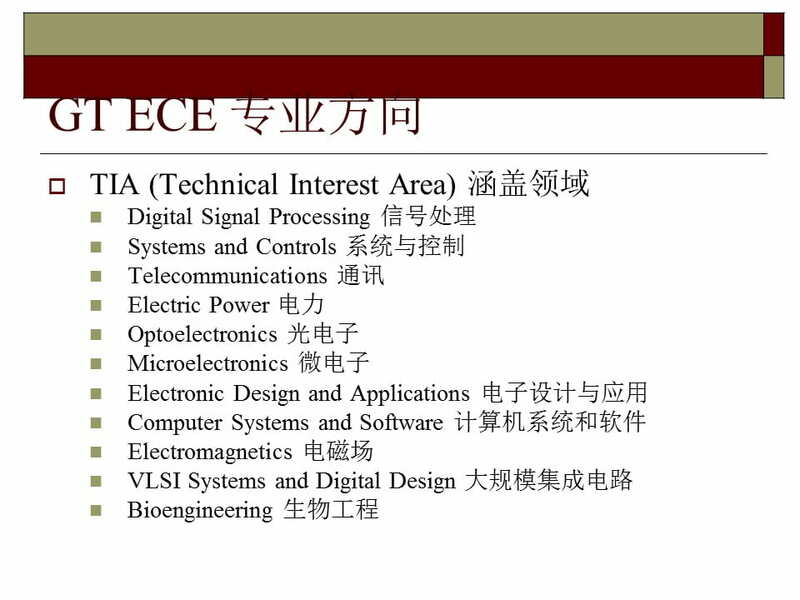 degree program in Electrical and Computer Engineering (ECE) in Shenzhen, China, housed at the Shenzhen Virtual University Park (SZVUP). 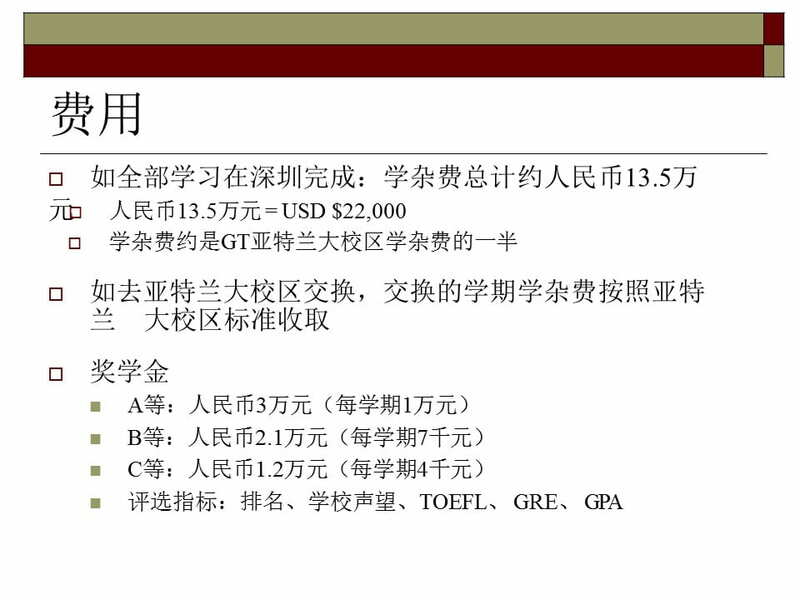 GT is the 55th member institution of the SZVUP, also the first from the USA. 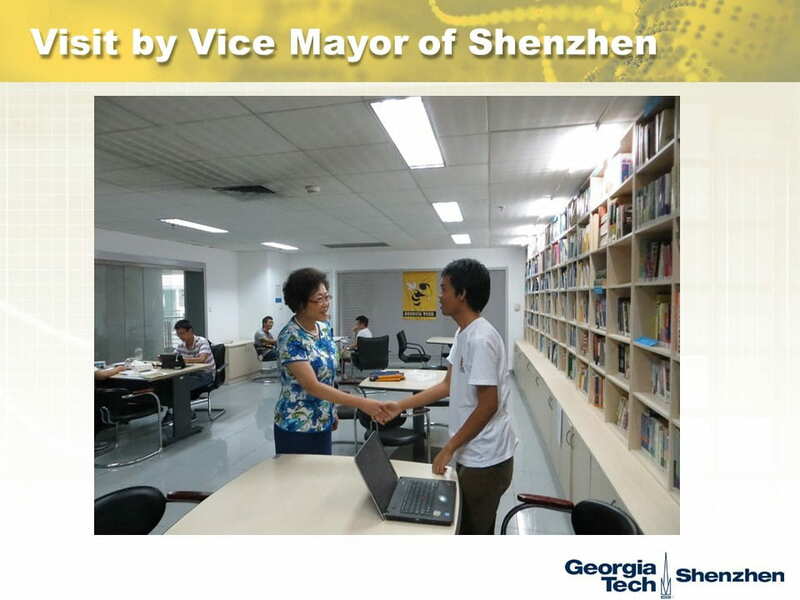 SZVUP is an innovative model in China emphasizing university-industry partnerships, technology transfer and business incubation. 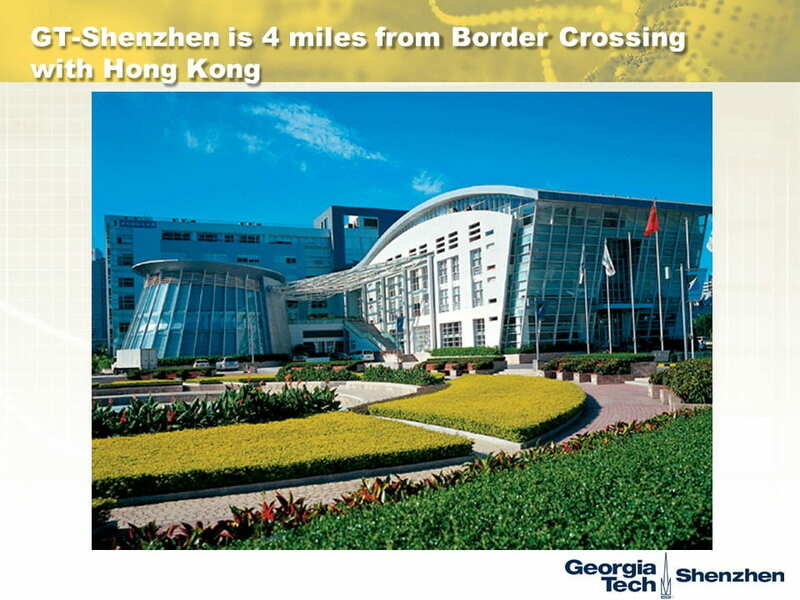 SZVUP is surrounded by the Shenzhen High-Tech Industrial Park where GT students will have ample opportunities to pursue internships with companies located within walking distance from the GT classrooms. 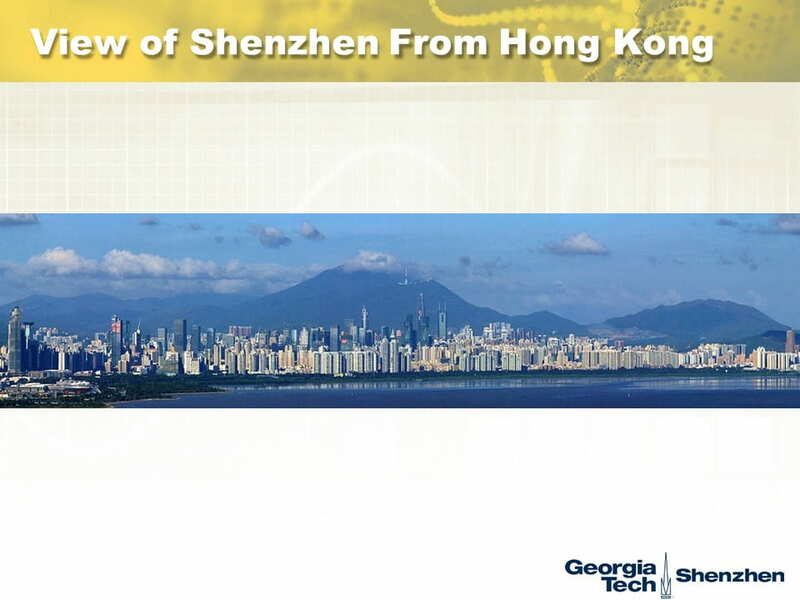 Situated next to Hong Kong, Shenzhen has the fourth largest GDP in China and has the highest GDP per capita among large- and medium-sized cities in mainland China. 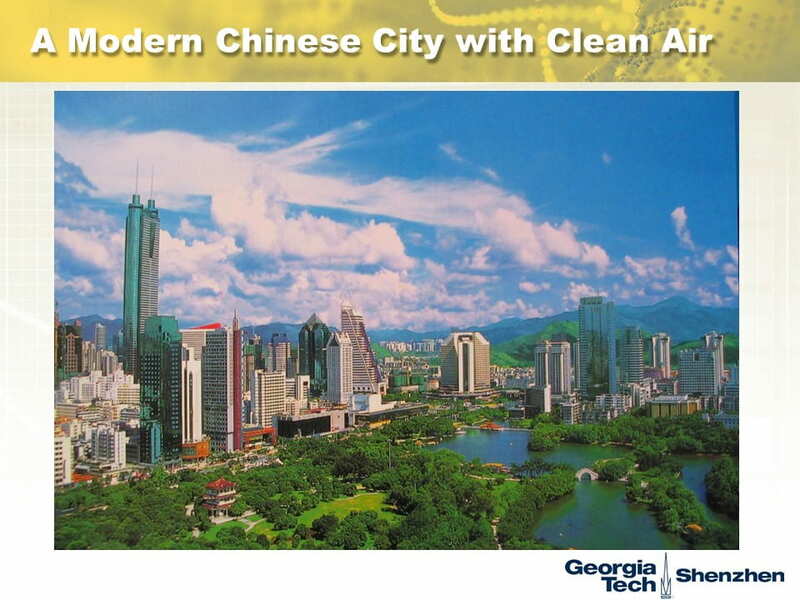 It is a clean, green city, has a young population, and is very high-tech. 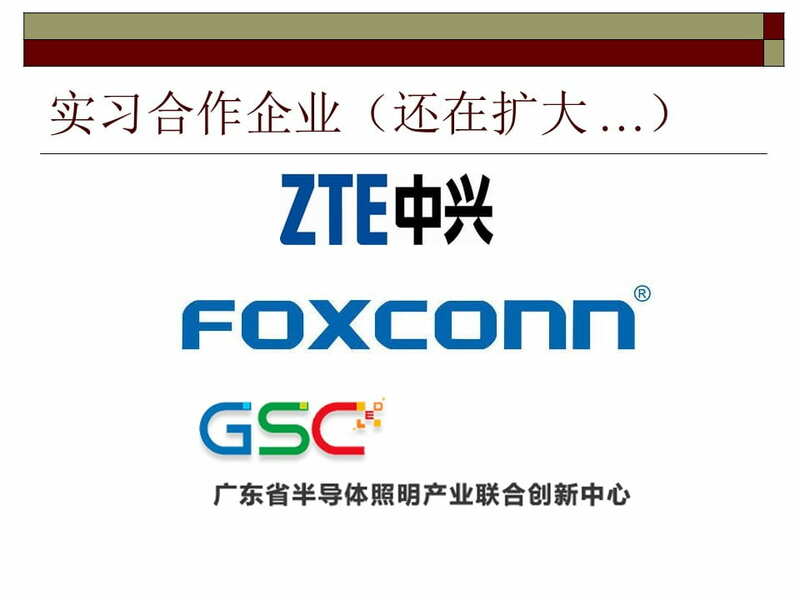 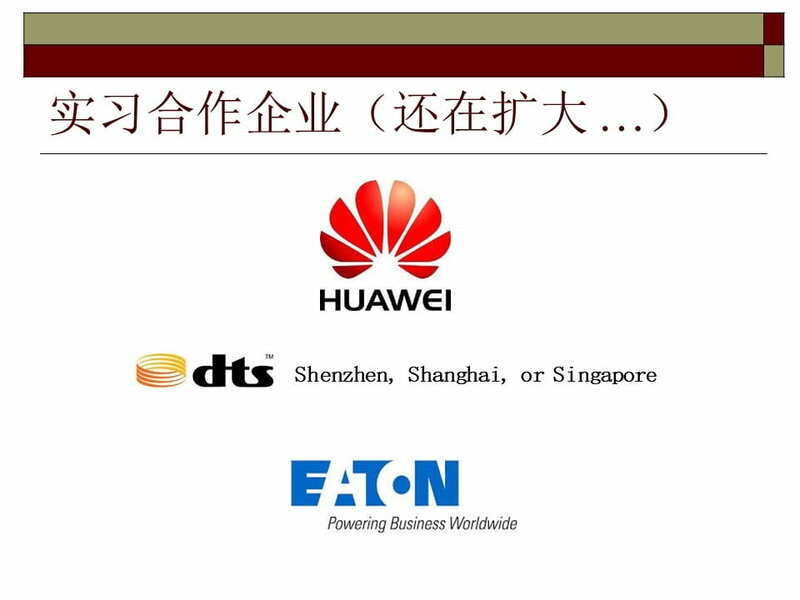 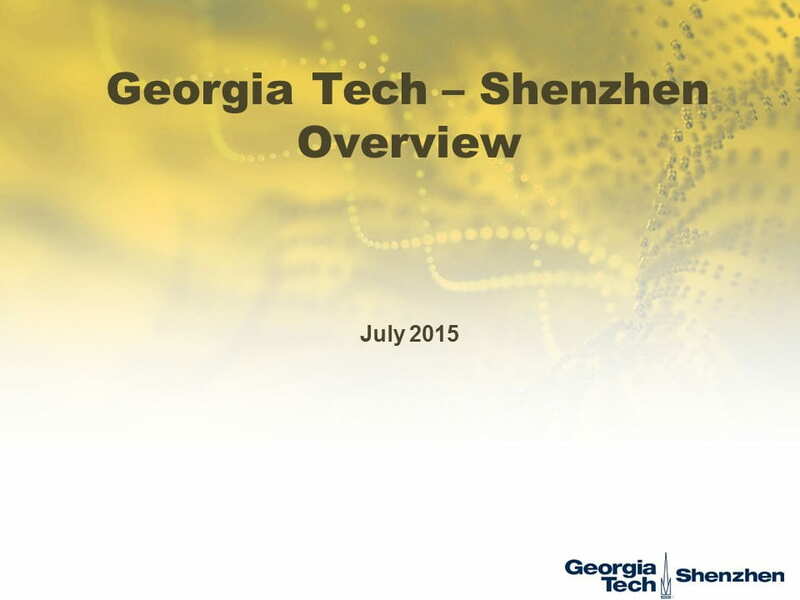 Shenzhen is home to well-known multinationals such as Oracle, IBM, Microsoft, Intel, Samsung, TI, Siemens, Phillips, Kodak, PMC-Sierra, Hitachi as well as some of the largest Chinese companies including Tencent, Lenovo, Huawei, ZTE, and Mindray. 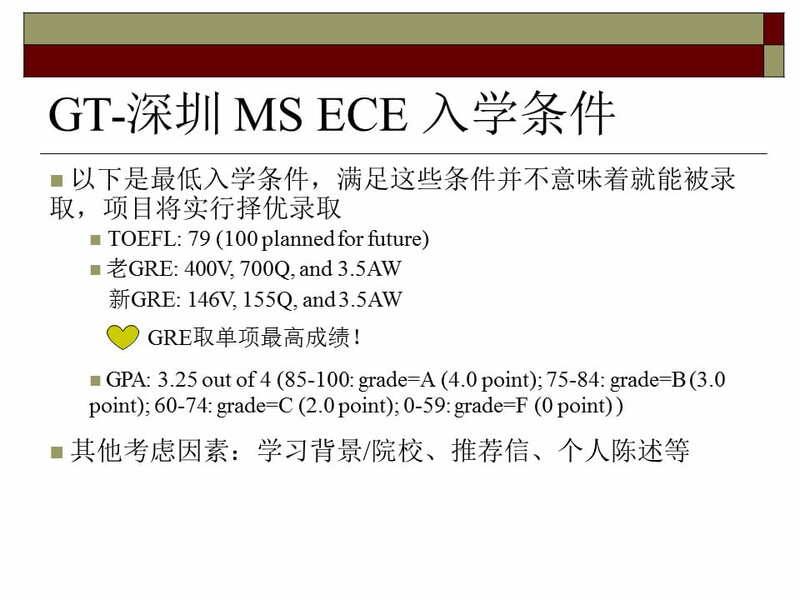 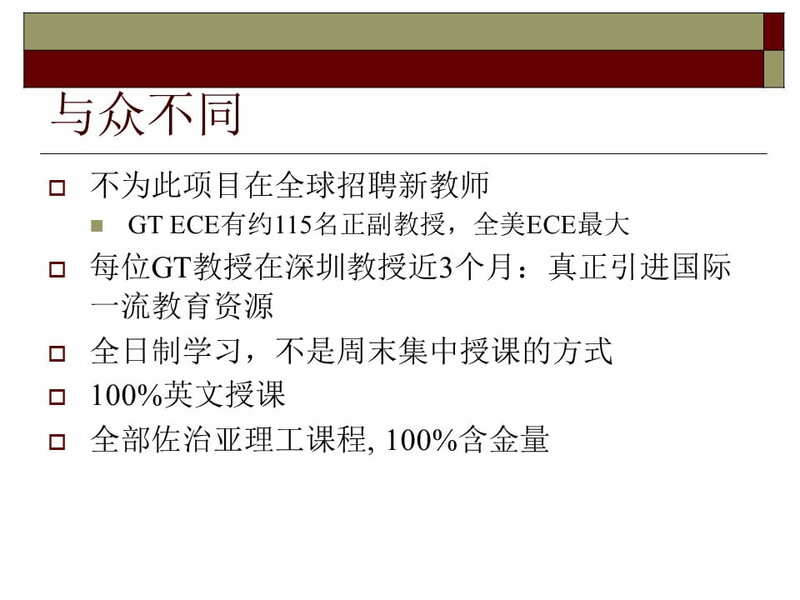 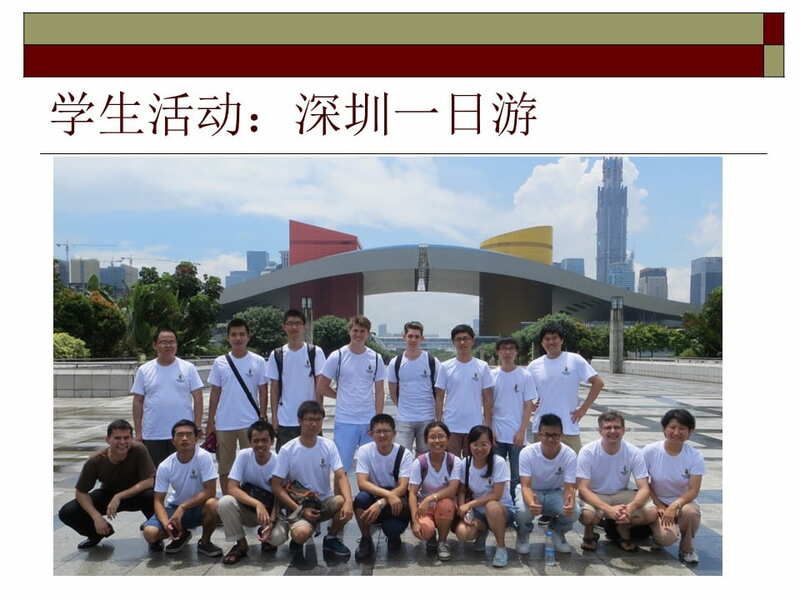 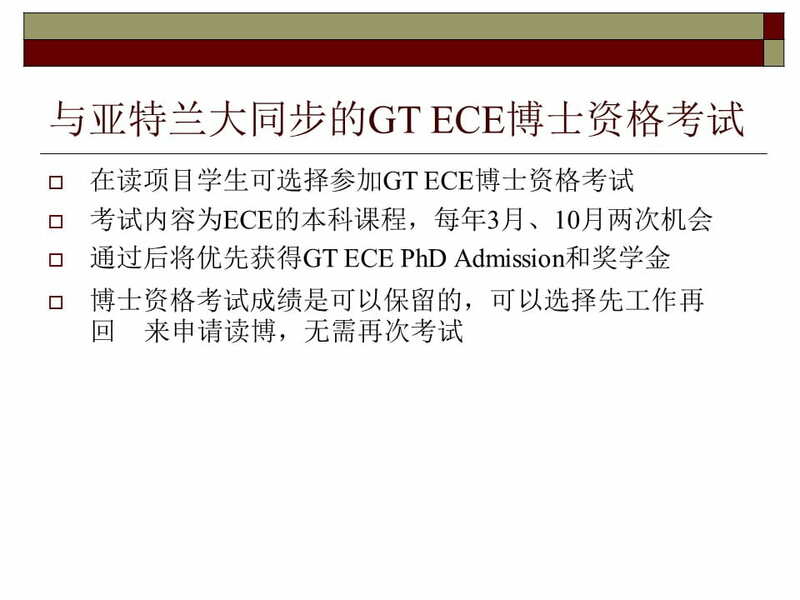 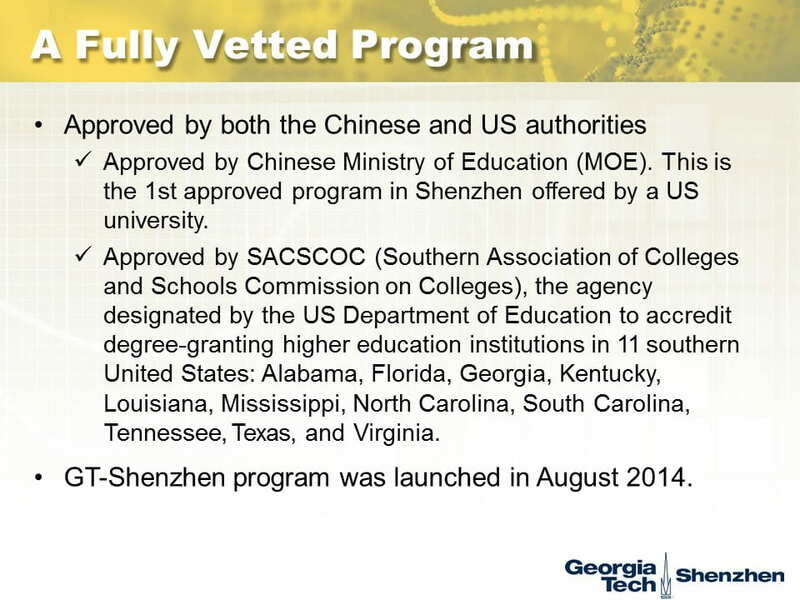 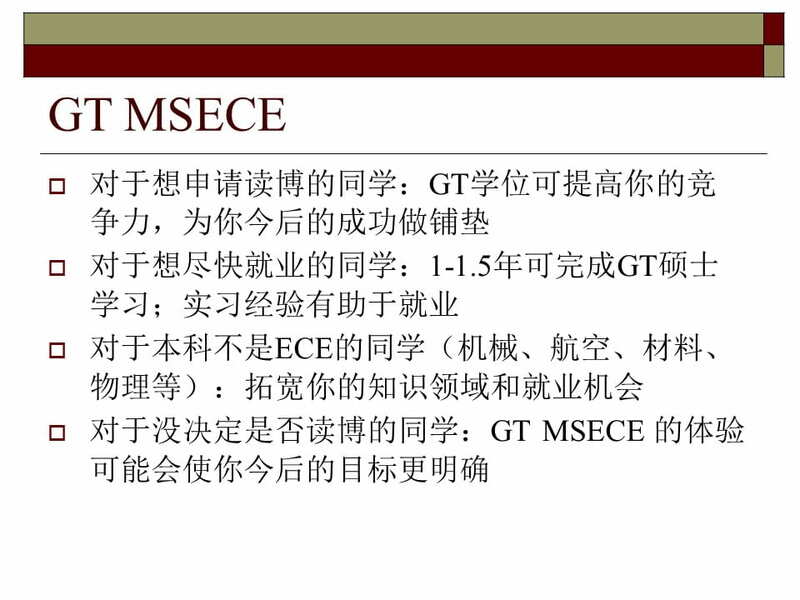 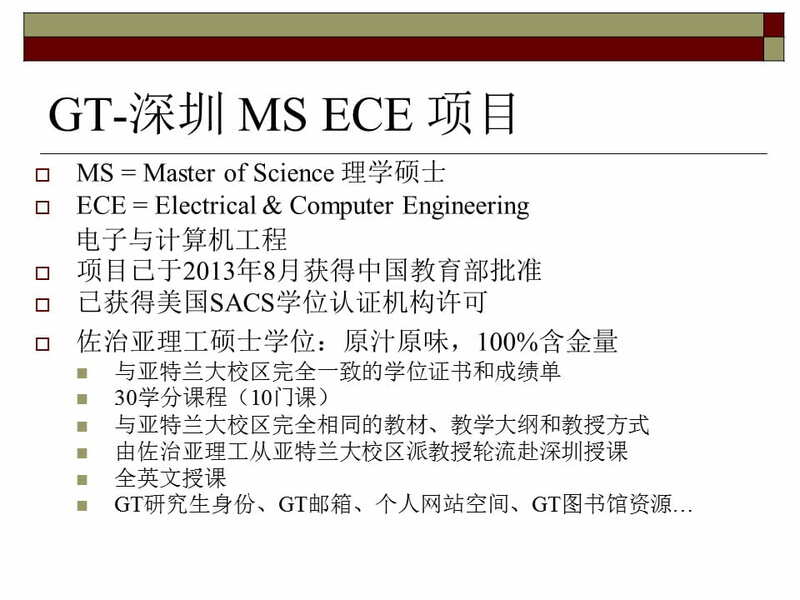 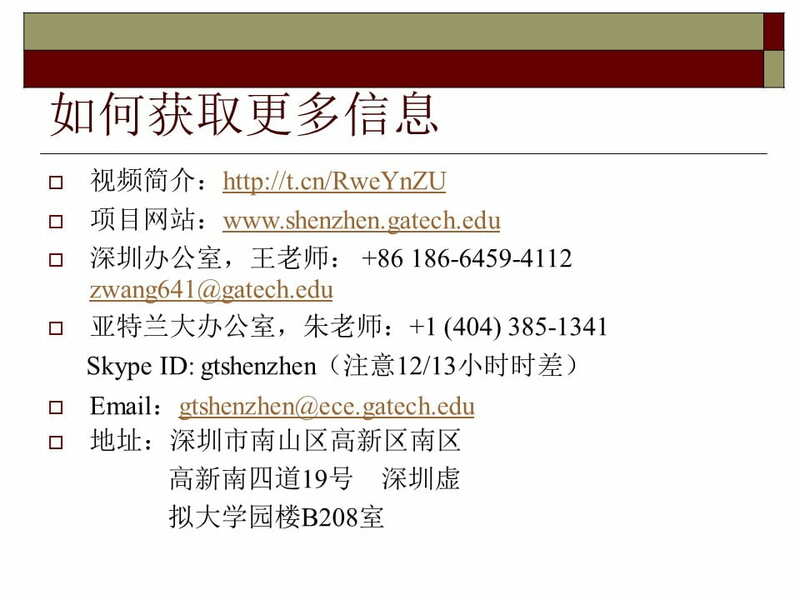 The GT-Shenzhen MS ECE program enrolls qualified students from China, the USA, and other countries around the world. 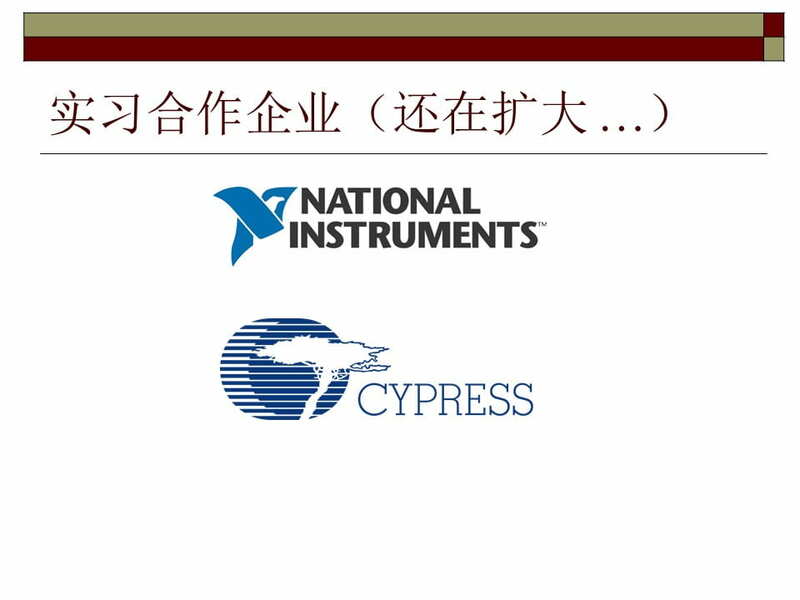 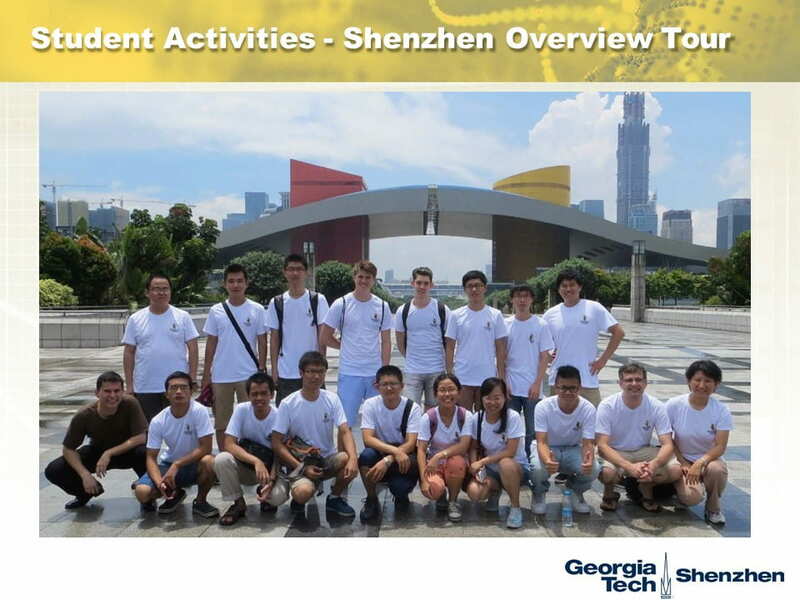 The program will assist interested students with internship arrangements after they have arrived in Shenzhen. 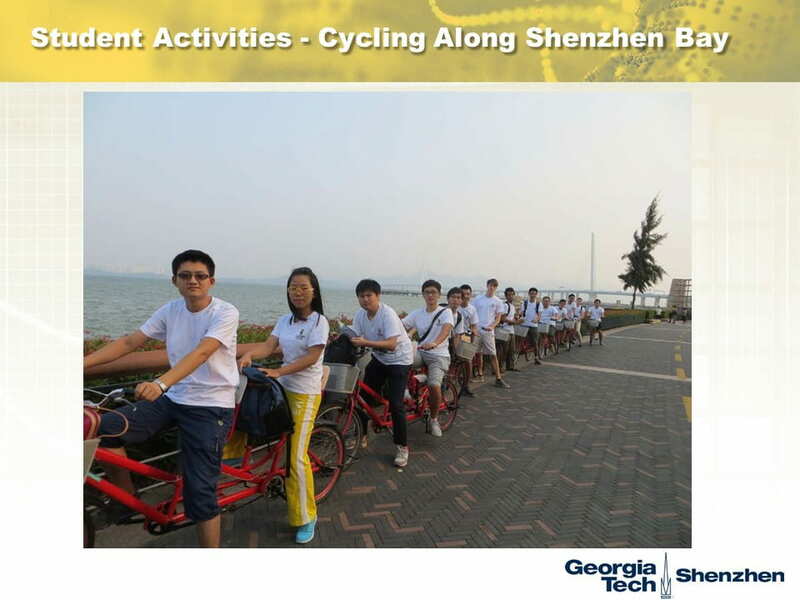 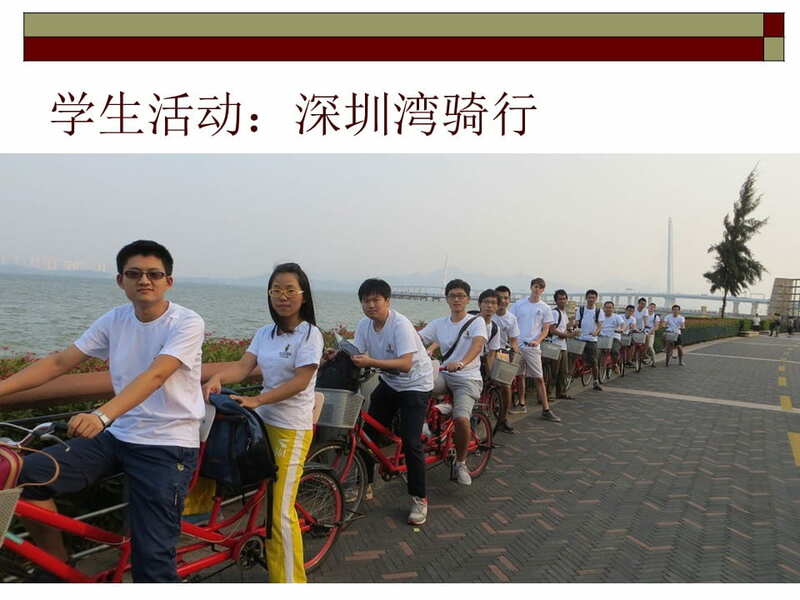 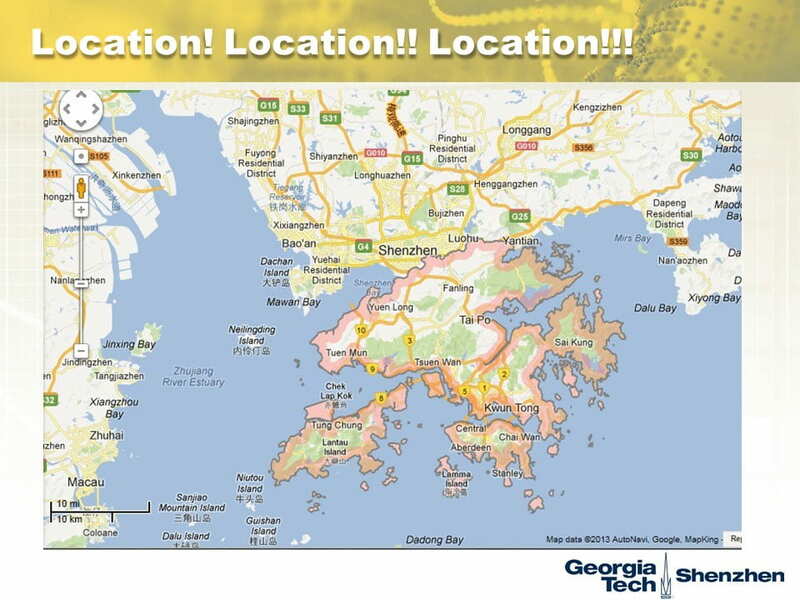 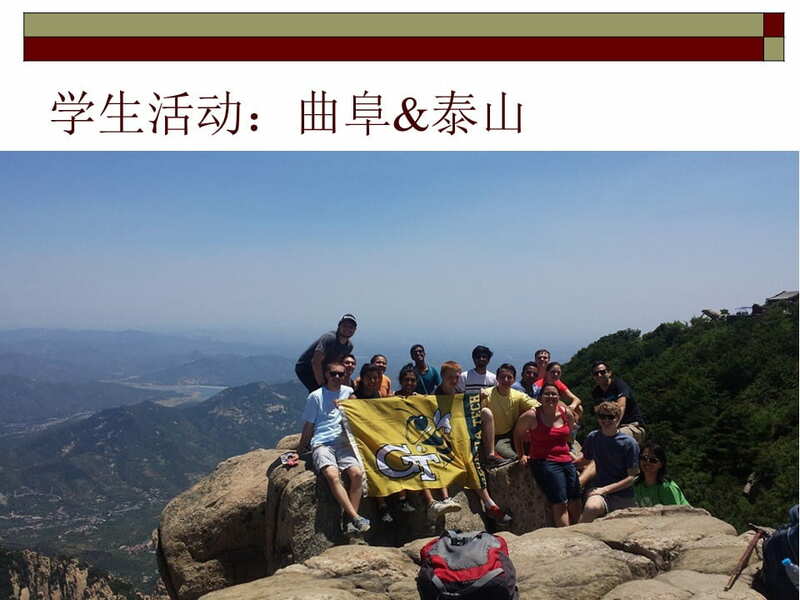 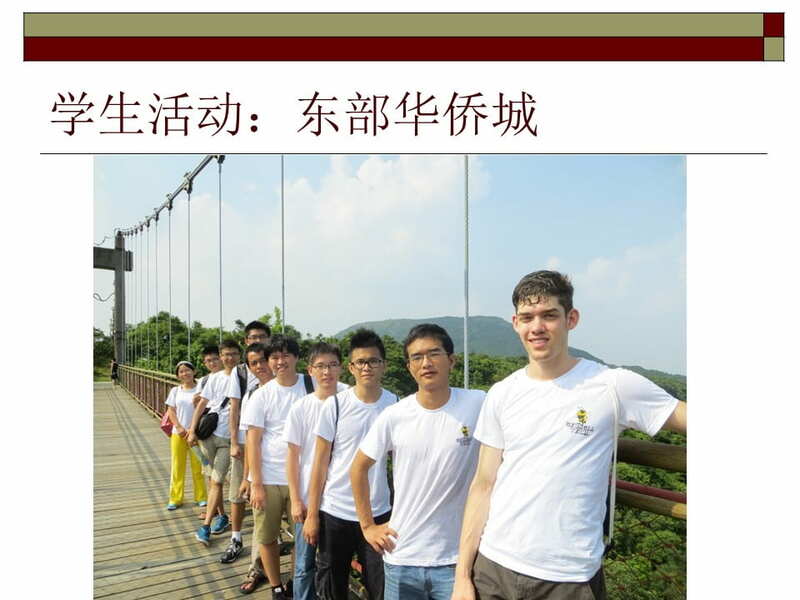 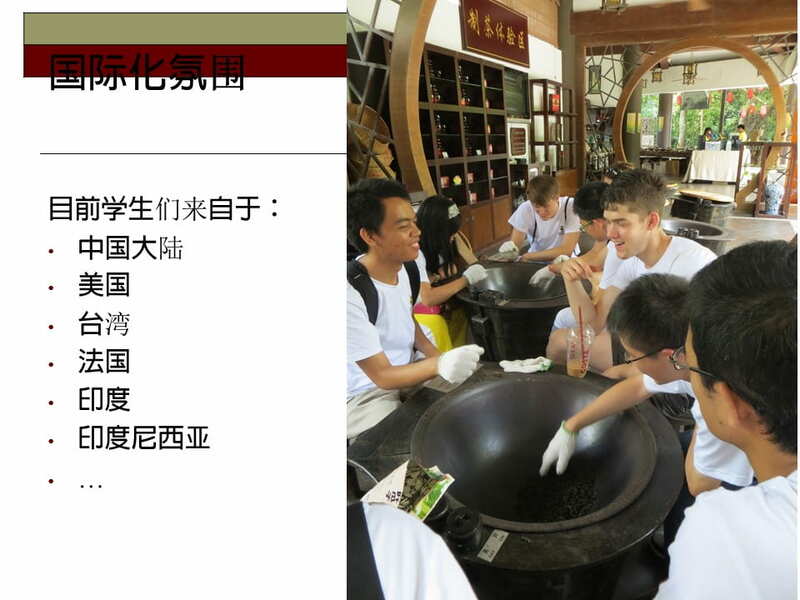 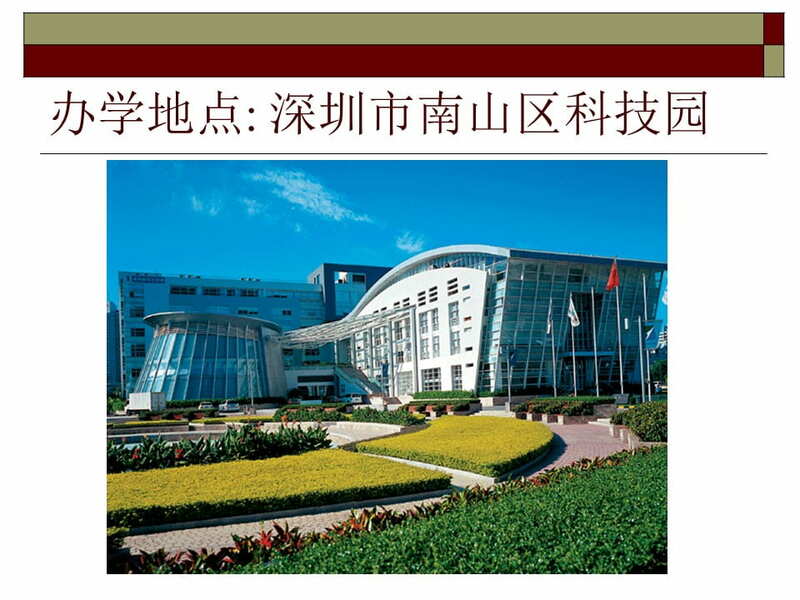 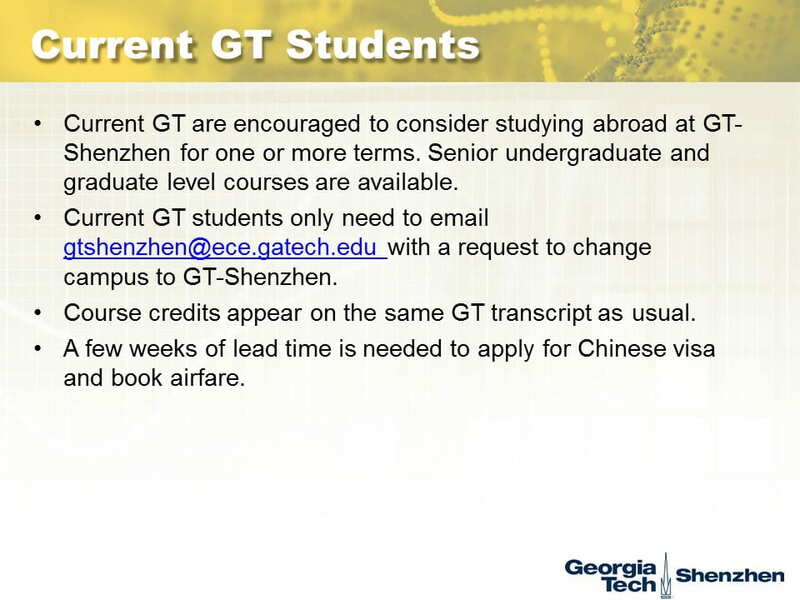 GT-Shenzhen serves as a platform for graduate study abroad for all GT students. 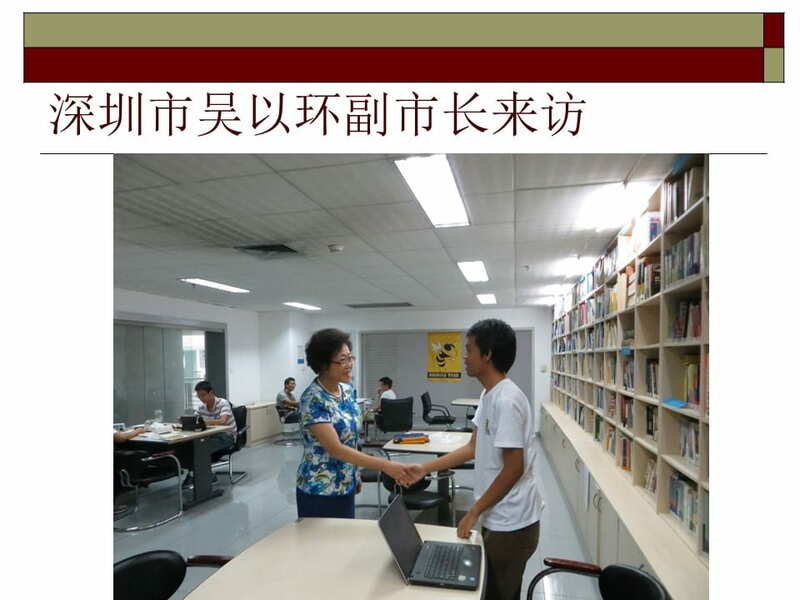 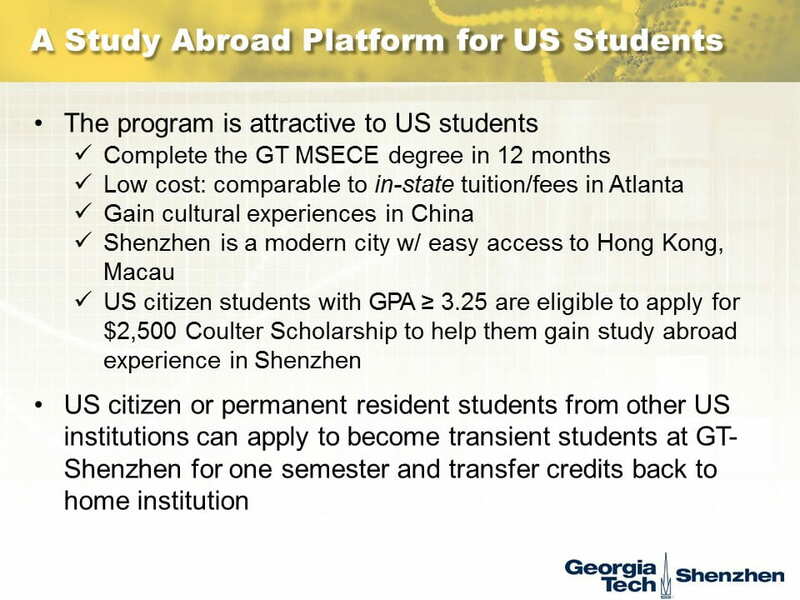 Even non-GT students can take advantage of the GT presence in Shenzhen: US citizen students who are degree seeking students at other US institutions can apply to become transient students at GT-Shenzhen for one semester, and transfer GT credits back to their home institution. 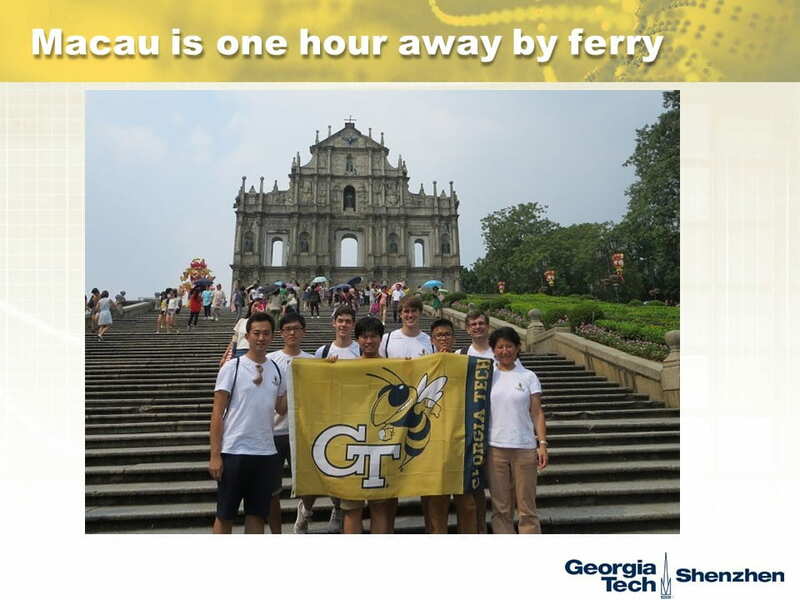 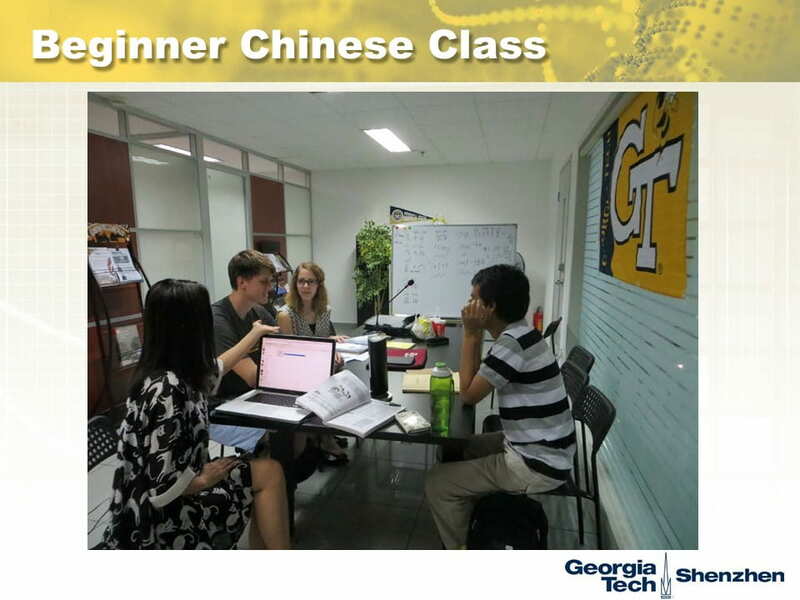 A unique program – the Global Engineering Immersion Program (GEIP) – capitalizes on GT’s academic presences in Atlanta, GA, Lorraine, France, and Shenzhen, China, and encourage students to complete the GT MS degree by studying with GT on 3 different continents – North America, Europe, and Asia in as little as 12 months’ time. 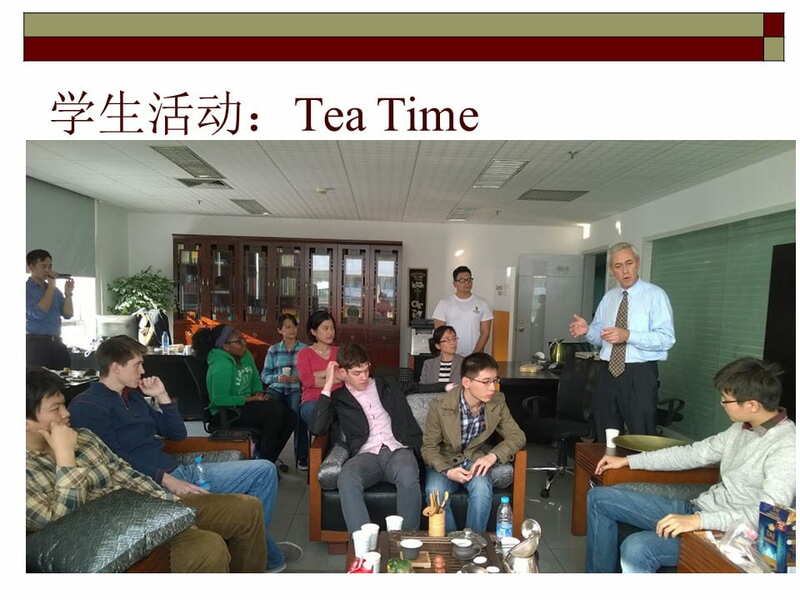 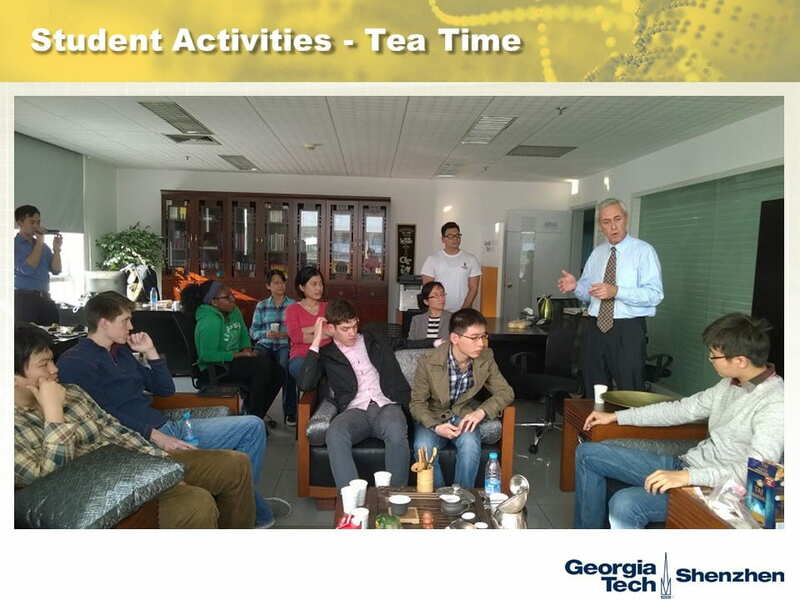 GT faculty teach in Shenzhen on rotational assignments. 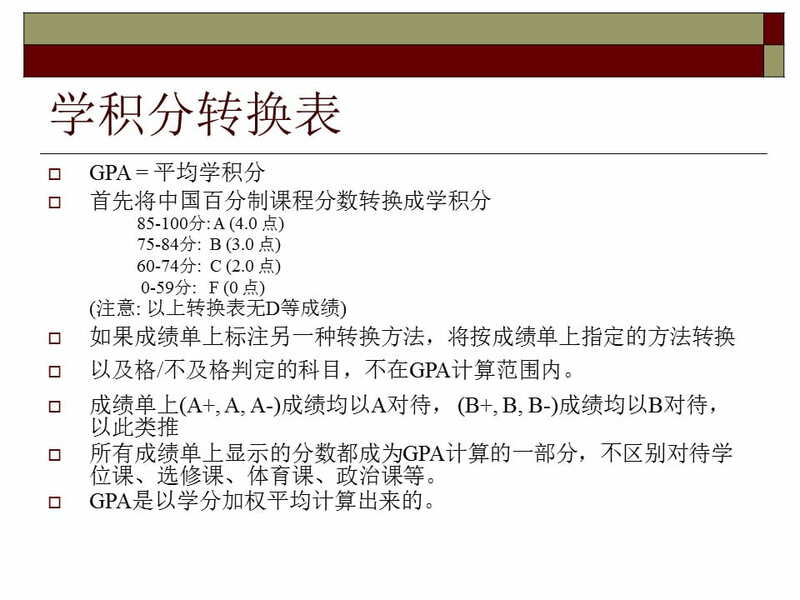 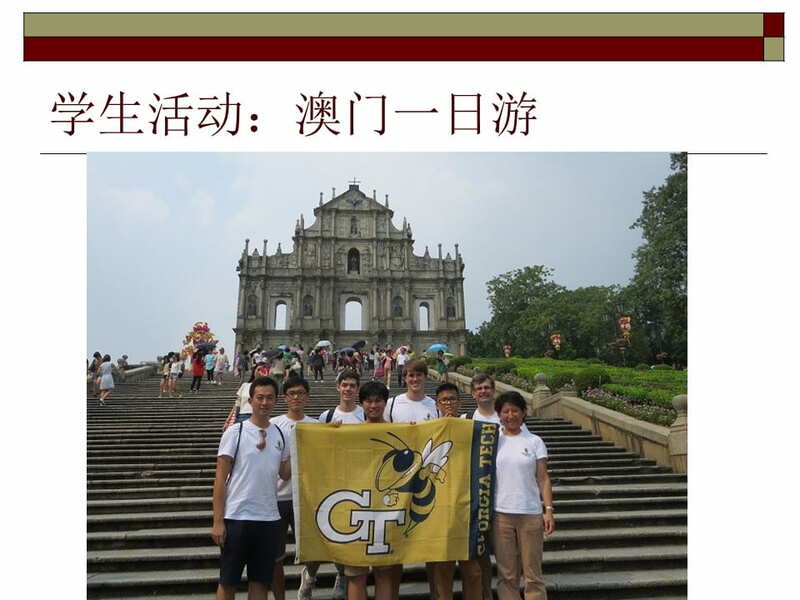 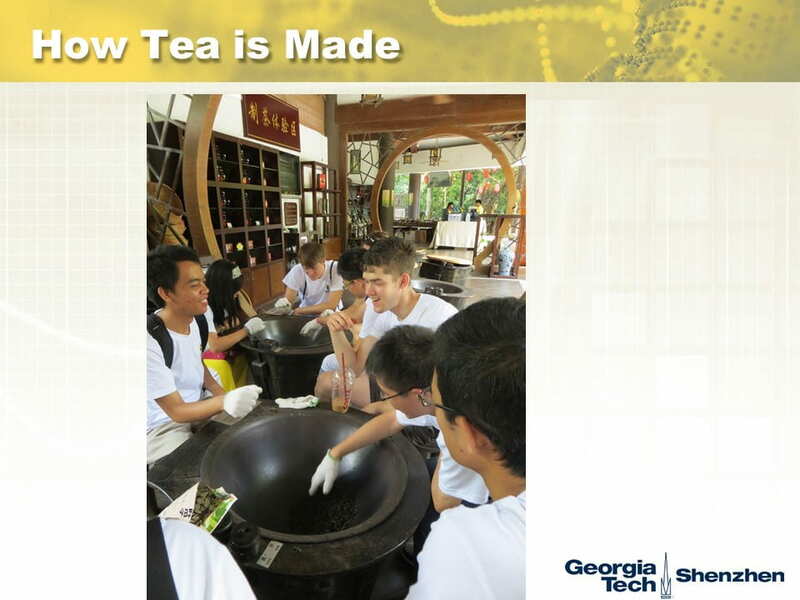 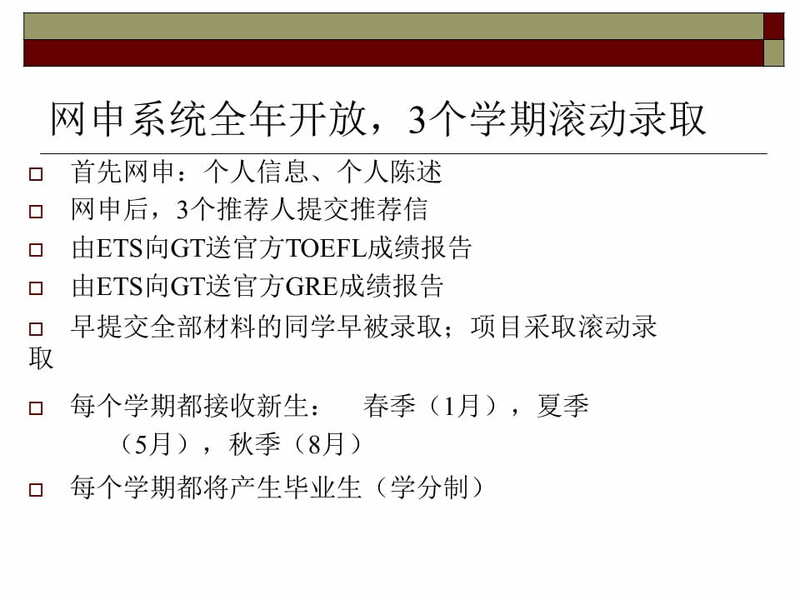 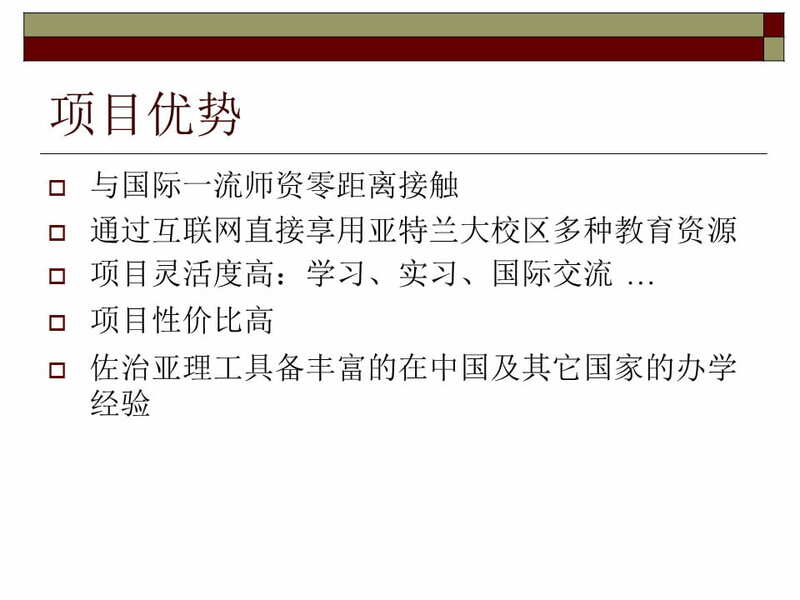 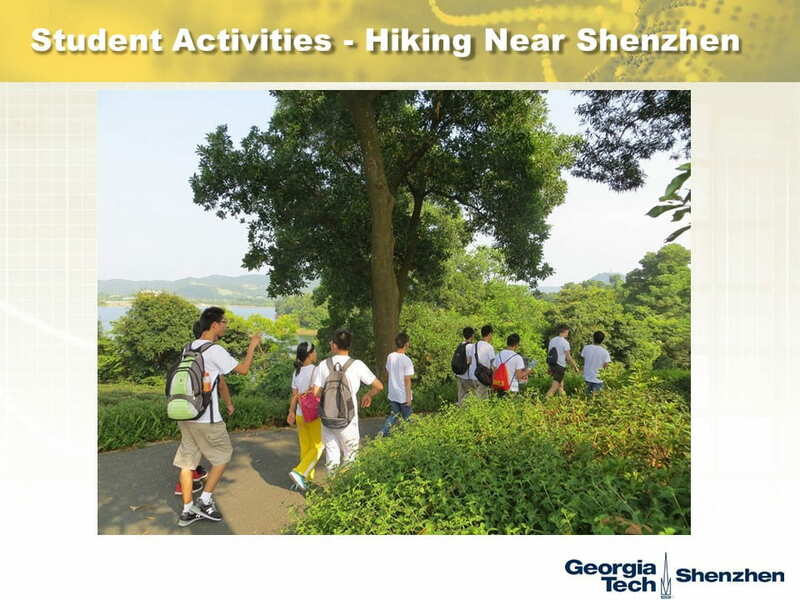 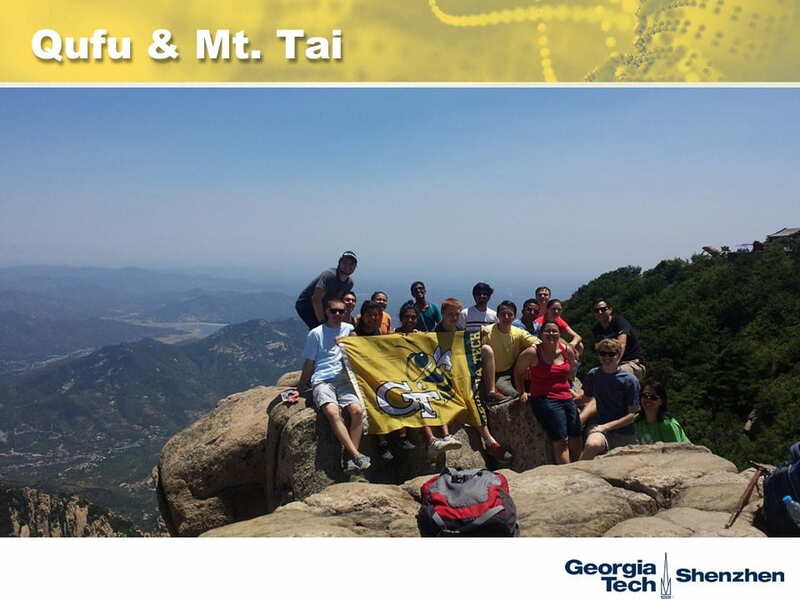 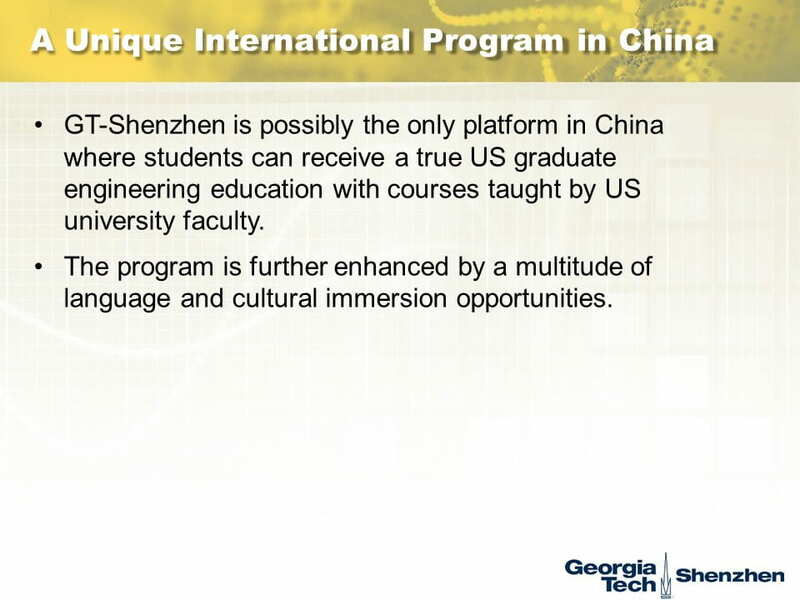 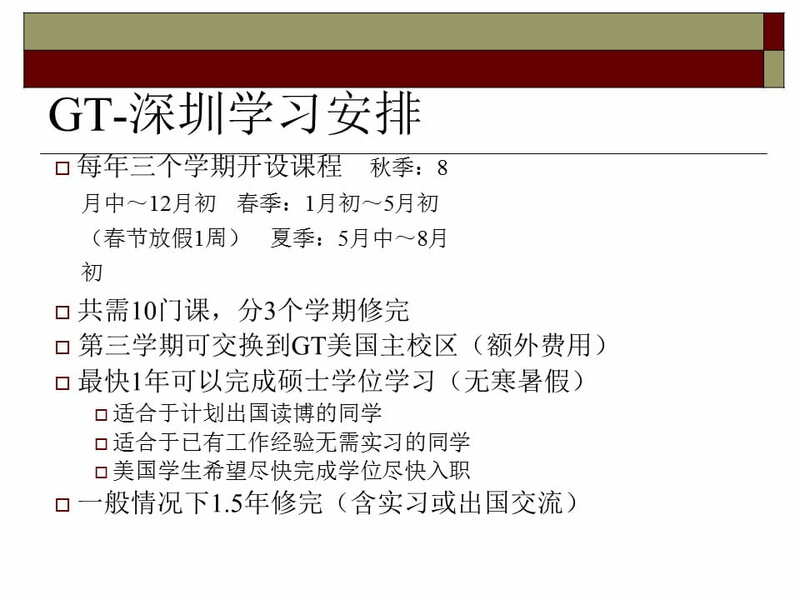 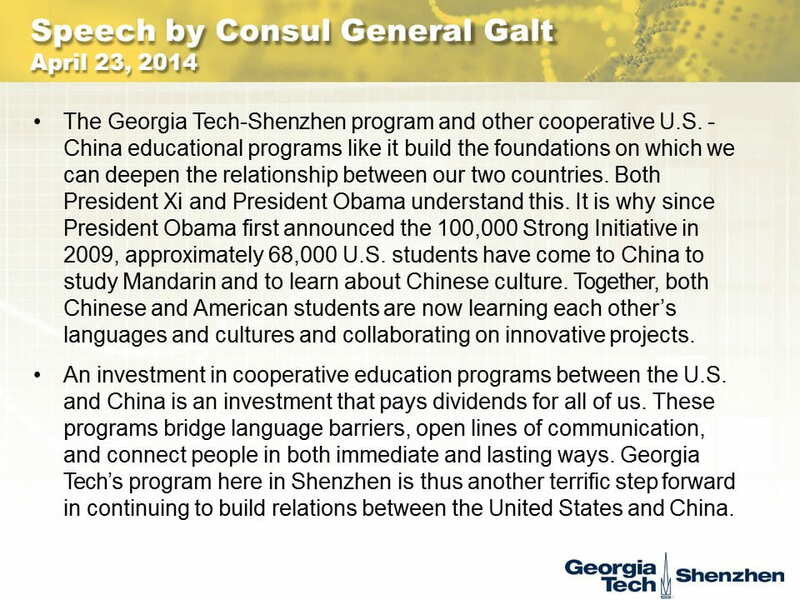 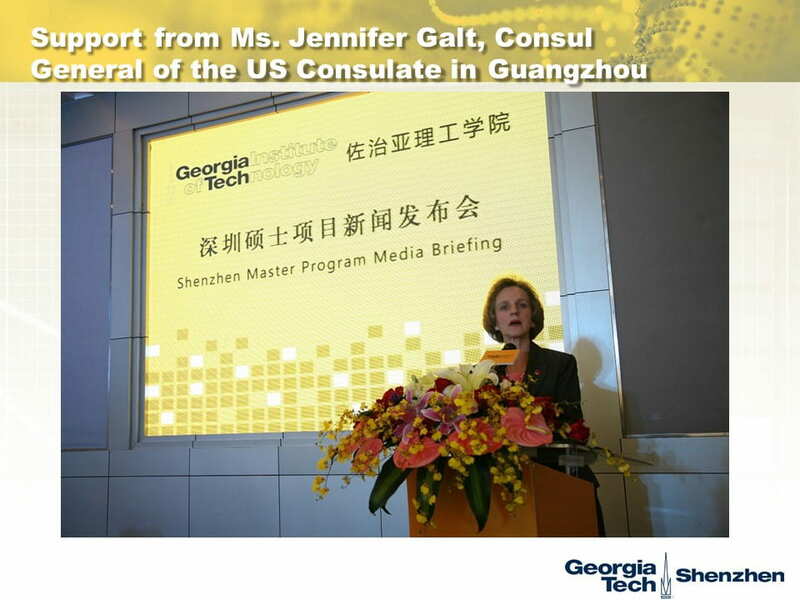 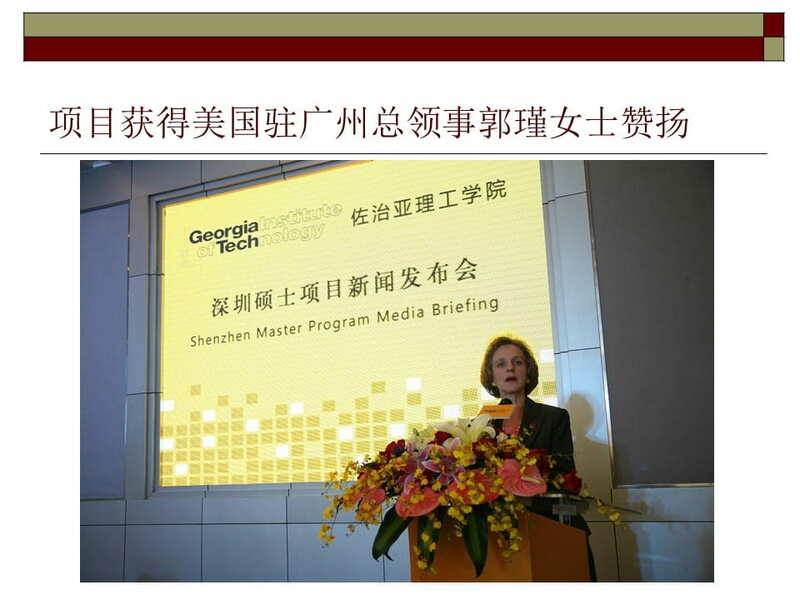 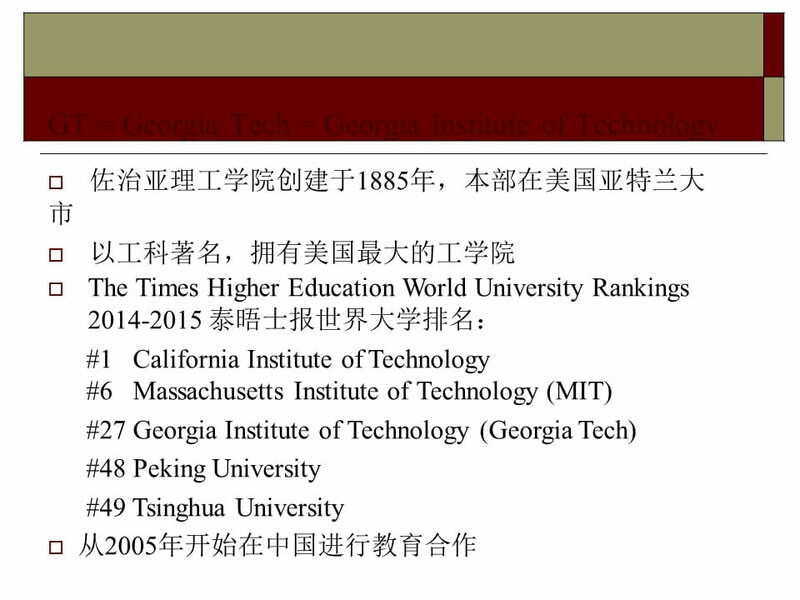 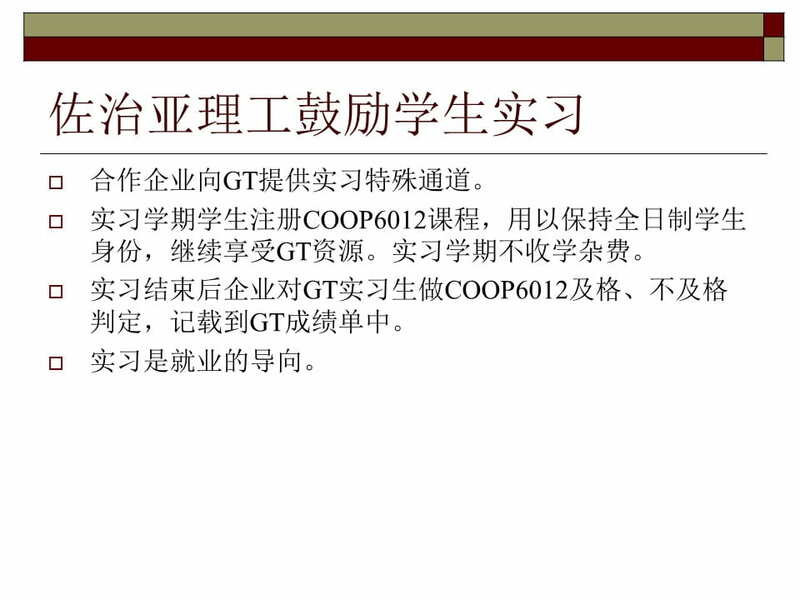 Admission and degree requirements at GT-Shenzhen are the same as those in Atlanta. 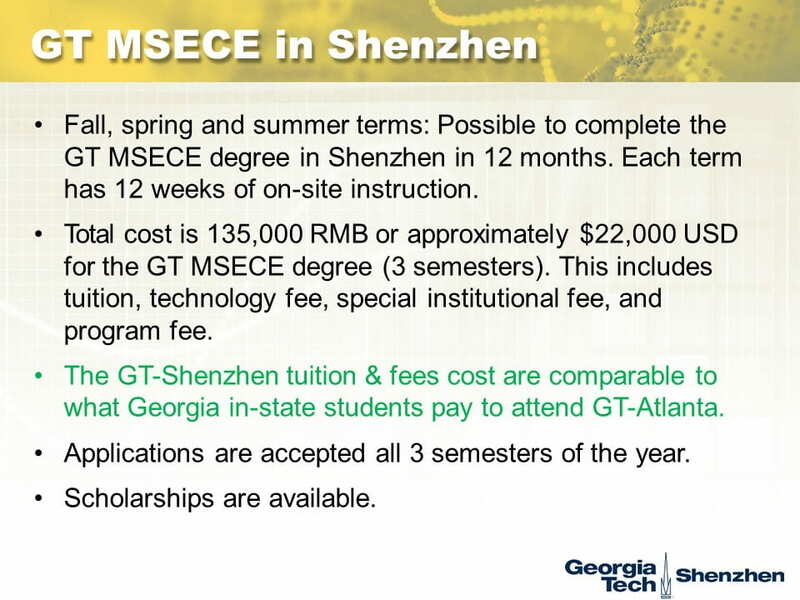 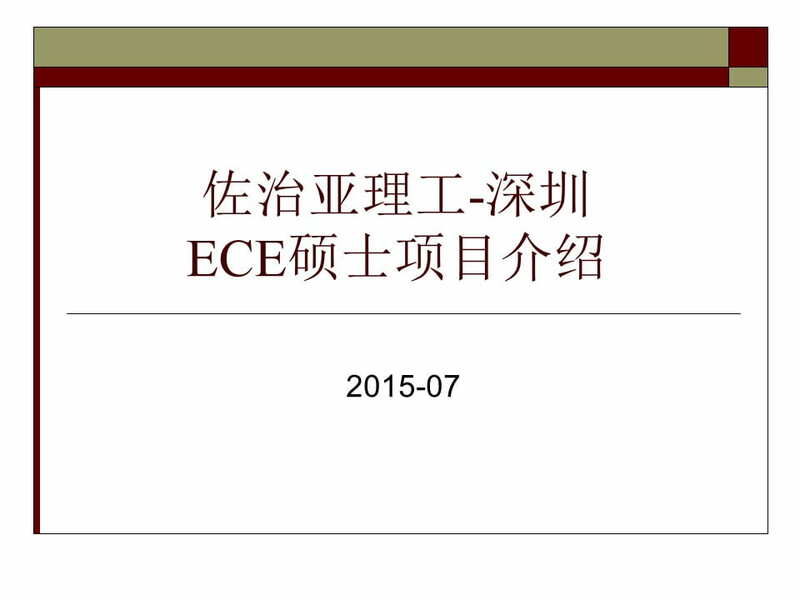 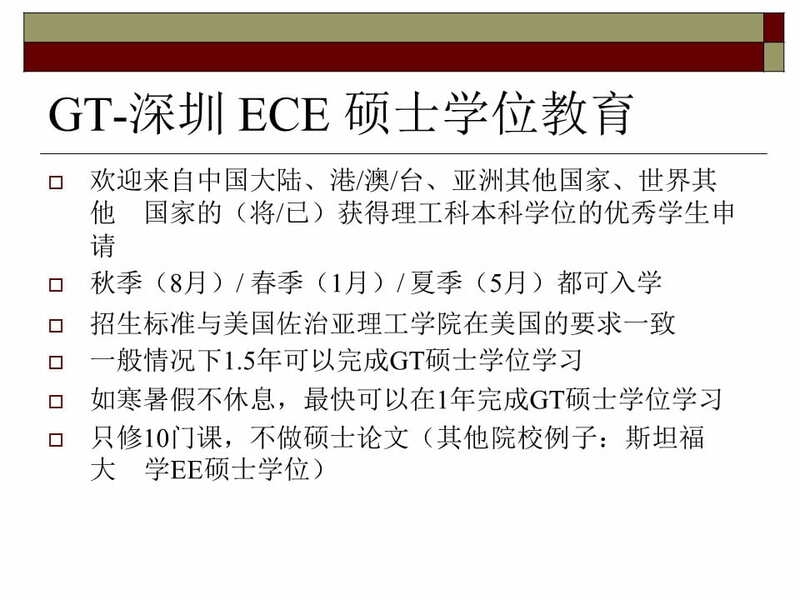 Students are expected to complete the GT MS ECE degree in 12-24 months in Shenzhen depending on the specific internship arrangements. 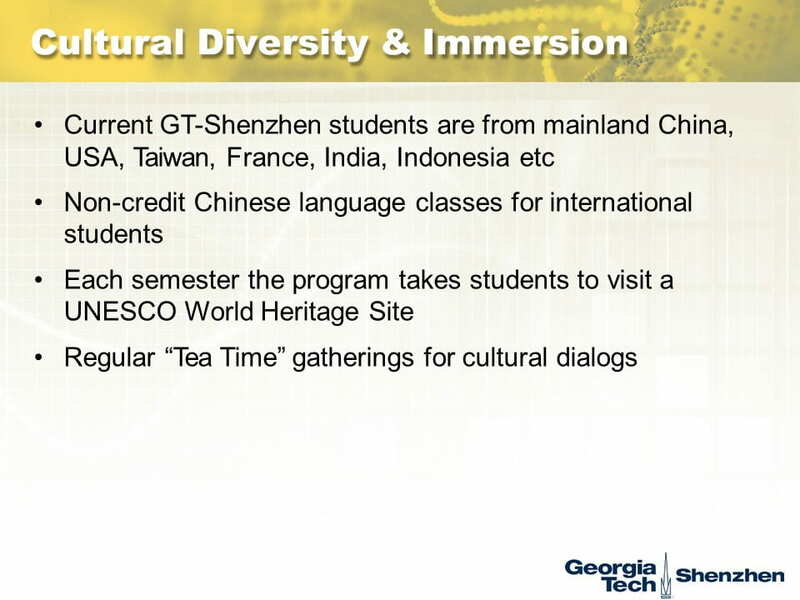 Students also have the option to spend the last semester in Atlanta or at the GT campus in Lorraine, France, further enhancing their global experiences.